Toyota's GR Supra Racing Concept. Contract manufacturer Magna Steyr, a division of Canada's Magna International, will build two new sports cars jointly developed by BMW and Toyota, industry sources familiar with the matter told Automotive News Europe. 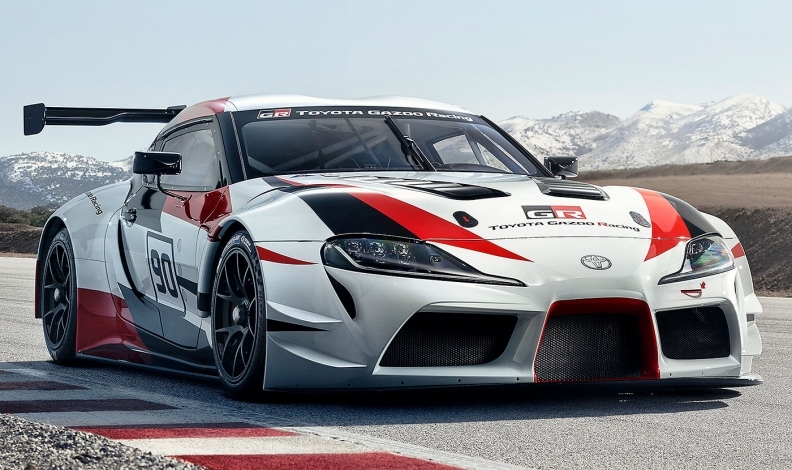 Toyota previewed its car with the GR Supra Racing Concept at the Geneva auto show on March 6. The production coupe will revive the Supra badge. It will go on sale in the first half of next year. Toyota said in Geneva that it will use its Supra sports car to act as a halo model to bring more emotional appeal to the brand. BMW will debut its version, a roadster, in the summer based on the Z4 concept it showed at the Monterey Car Week in Pebble Beach California last August. Magna International declined to say whether its Magna Steyr unit will build the cars. "No announcement has been made by BMW or Toyota and we are therefore unable to comment," a spokesman said. Automakers use Magna Steyr's factory in Graz, Austria, to build niche cars or as an overflow production facility when their own plants are running at full capacity. The plant has built the Mercedes G class since 1979. It also produces BMW 5-series models with conventional and plug-in hybrid powertrains. Production of the Jaguar E-Pace started in late 2017 and the I-Pace is being added during the current quarter. Magna said the plant will build about 200,000 vehicles this year.